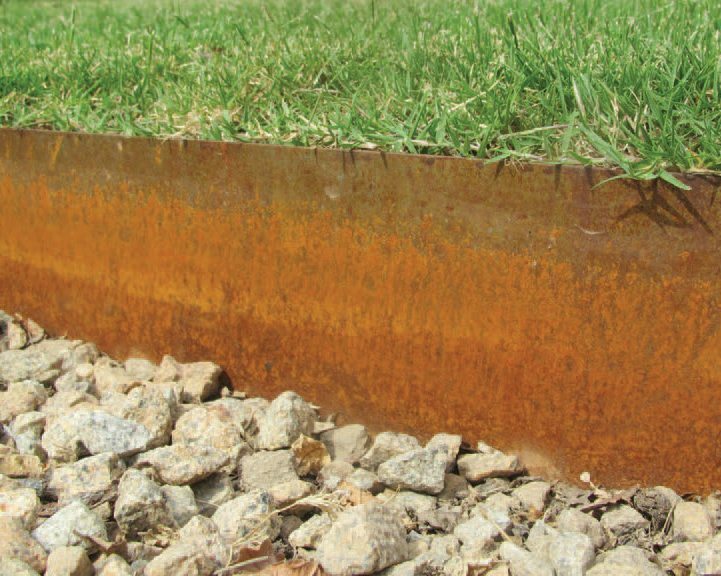 EverEdge flexible steel garden edging comes in one metre lengths and is supplied in packs of five lengths. Made from mild steel, EverEdge comes with either a Galvanised and Powder Coated finish or with a Cor-Ten (rust) finish and is available in three different depths – 75mm, 100mm and 125mm. 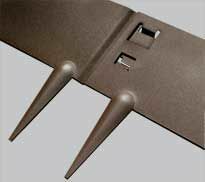 Each length incorporates six spikes that are 95 mm long. The lengths are designed to lock together and keep a level top edge. 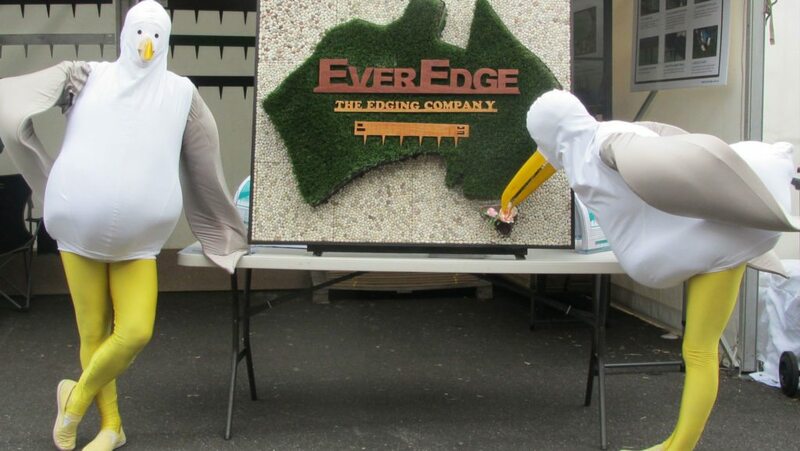 EverEdge will bend to virtually any shape, suits all soil types and lasts for generations. Thickness (gauge) is 1.6mm and spikes are 95mm long. 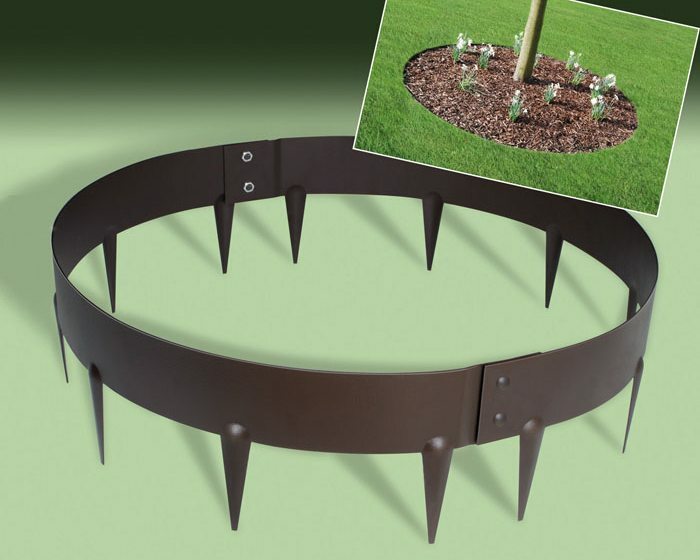 The edge and the spikes are all made from one piece of steel (no extra pins pegs or joiners). Each length simply slots into the next and is secured by pushing in the locking tongue. 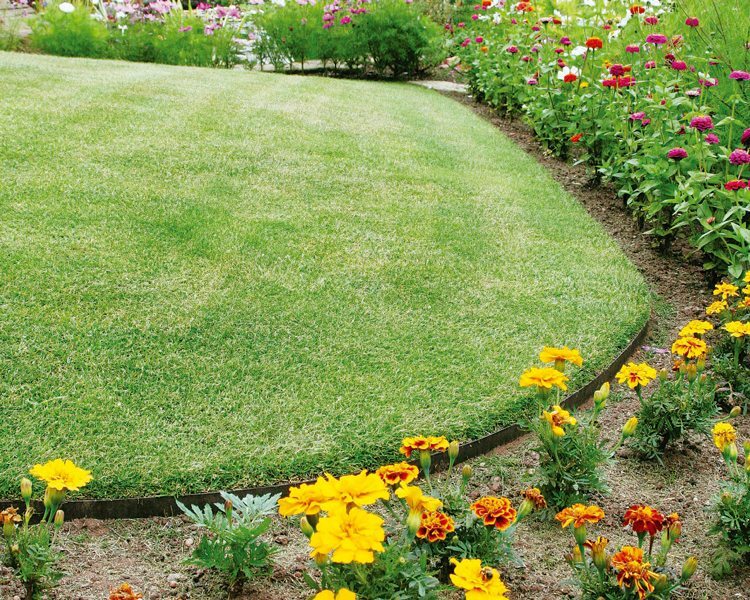 EverEdge is intended to be mown over, where possible the edging should be placed so that the top of the edge is at the bottom of the blade of grass.